Submit Your Planning News & See Your School Listed Here! As a current ACSP member with an active online account, you automatically receive informative emails about our career center. From recent job postings to resume tips and more, these emails are designed to keep you informed about valuable career resources. The next career center email is scheduled to go out on June 20, 2018. 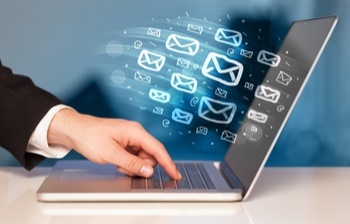 As always, you have the ability to choose what you receive from ACSP via email. To continue receiving these emails, you don’t need to lift a finger. However, if you don’t wish to receive career center-related emails, you can opt-out by managing your email preferences under your ACSP profile. For detailed instructions on managing your email preferences, click here. ACSP Administrators Conference & New Chairs School to be held March 14-16, 2019, in Minneapolis, Minnesota. No man has the moral right to withhold his support from an organization that is striving to improve conditions within his sphere"
The contents of this email do not necessarily reflect the views or policies of the community or organization.